In the last 3 years, career services at the Raymond A. Mason School of Business has experienced much change. New programs including the Online MBA and residential MS in Business Analytics (MSBA) one-year masters degree were rolled out with great success. 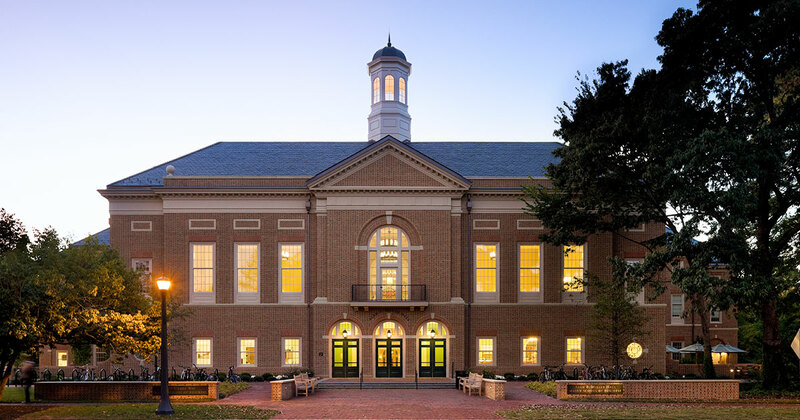 In response, the MBA Career Management Center, serving Mason School's MBA programs, was changed to the Graduate Career Management Center (GCMC), serving all graduate business programs including Master of Accounting (MAcc) and MS in Business Analytics (MSBA). A reenergized team was hired to lead corporate development efforts and student advising and preparation strategy. Student satisfaction soared. And in Fall 2018, Mason School will welcome its first cohort in the Online MSBA program. As the Mason School adapts and evolves with market demands, so must the GCMC. In Fall 2017, the GCMC team solicited feedback from key stakeholders, including students, employers, faculty, alumni, school leadership, executive partners and others. The results of this stakeholder survey provided rich and varied input into what the GCMC should continue to offer, where resources should be directed and opportunities for improvement. After an extensive planning session, the GCMC team developed the following strategic plan for 2018 - Vision 2018 - including a Mission, Vision, Values and Beliefs and Strategic Goals with key initiatives. To provide empowering and accessible career services to students, and top-quality, diverse talent to employer and alumni partners. The GCMC will be a leader in preparing impactful students to enrich the global workforce and be a preferred talent resource for hiring organizations. The GCMC believes that defining a set of values and beliefs provides the "how" the team accomplishes the key initiatives defined in the plan. The following set of values and beliefs reflect those of the GCMC team and align with those of the Raymond A. Mason School of Business. They inform how we conduct ourselves on a day-to-day basis. Technology is disrupting how people live, work and recruit talent. The GCMC will adapt programs and service delivery models and leverage technology to accommodate student and employer demands. Outcomes are important, but not more important than the means in which they are achieved. The GCMC will conduct themselves at the highest level of integrity. Accurate and accessible employment outcomes data is important for prospective students when evaluating graduate business programs and return on investment. The GCMC will be transparent with prospective students, current students and employer partners regarding employment outcomes expectations and access to talent. The GCMC serves many important constituents from students, recruiters, alumni, faculty and others. The GCMC is committed to listening to those we serve and design services and resources to meet their needs. The GCMC is committed to being accountable to our stakeholders and serve as stewards of its resources. The GCMC identified three chief strategic goals within three primary areas of concentration - student development, employer development and operations/ outcomes management. Each goal includes a list of key initiatives designed to position the GCMC to achieve its goals. In addition, a list of relevant key metrics is provided that will be used to measure progress towards success.